Tamanu oil is a remarkable topical healing agent with anti-inflammatory, antibacterial, antimicrobial and antioxidant properties. Its benefits are notable for scarring, stretch marks, minor cuts and abrasions, acne, rashes and much more. The Tamanu tree is indigenous to tropical Southeast Asia. 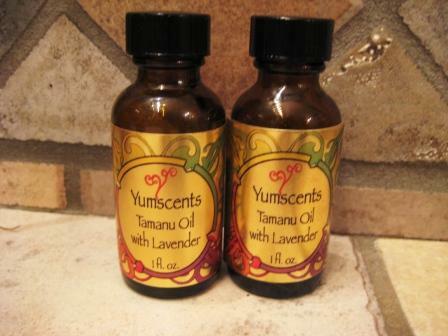 Tamanu oil has a rich, deep, earthy scent and we add a little pure lavender essential oil for a more pleasant fragrance.